Hut, hut, hut! 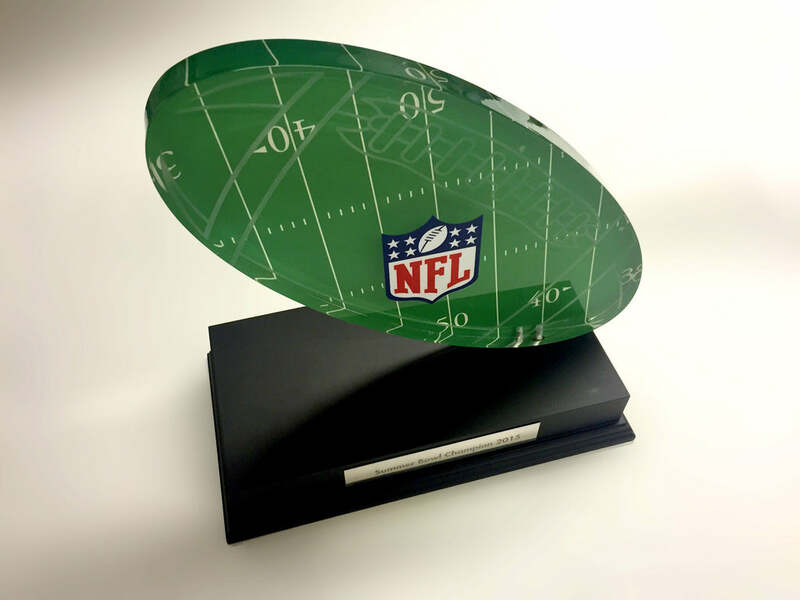 We channel the glitz and glamour of one of the world's most alluring sports in the custom made NFL Acrylic Football Award. Transforming the traditional pig-skin ball into a work of art through a thick, rear-printed acrylic football that was commissioned by the league itself. 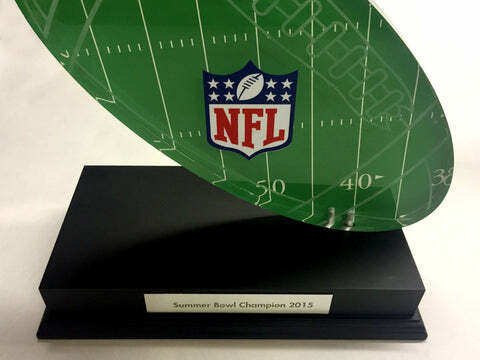 Extra detail was added through the markings and zones from the pitch to create an award fit for champions. 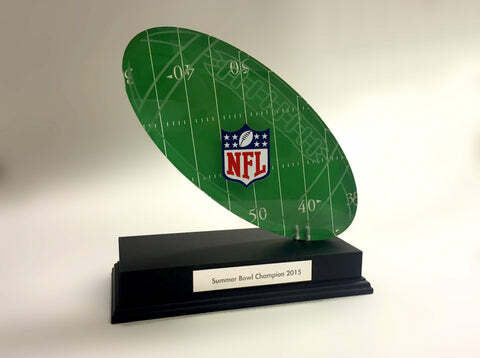 To finish, a bespoke cut NFL logo was applied to the front of the award which rests on a fine black base.